UPDATE!! Darius has been adopted! 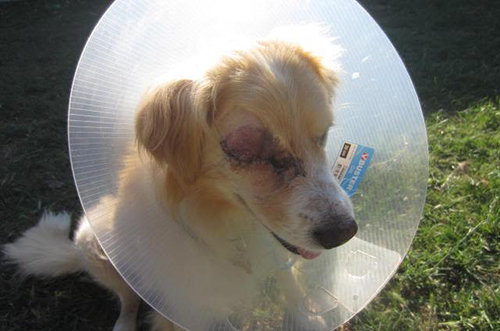 We can't thank you enough for all your support for Darius, our blind pup from Turkey. We are thrilled to report that this week he found the perfect family to love him. His new mom said she saw him winking at her from the website saying "come meet me"! And she did just that! Having lived with a blind pup before, they knew exactly what was needed to support Darius including giving him the time to learn to trust and bond with them. Thanks again for all your wonderful wishes and financial support! Darius is a refugee. A canine refugee from Turkey. And he’s being resettled in Southern California. A four-year-old Golden Retriever mix, Darius was found on a street in Turkey by a local rescue worker. He was apparently abandoned. He is sightless in both of his eyes and his right eye was painfully swollen. 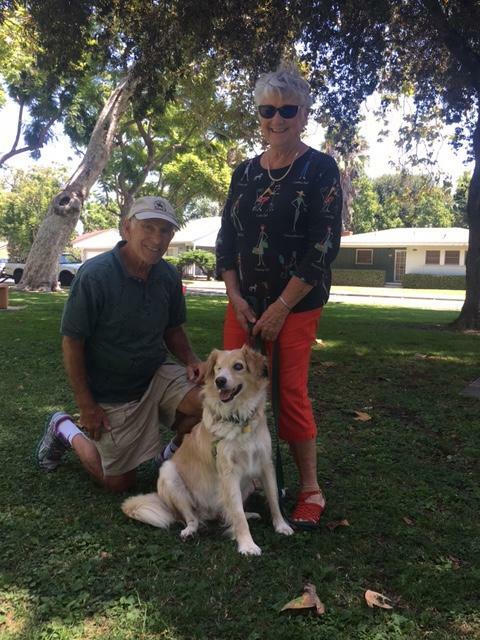 The Turkish rescue agency contacted Southern California Golden Retriever Rescue (SCGRR) and, in the company of two other dogs, was flown to Los Angeles. 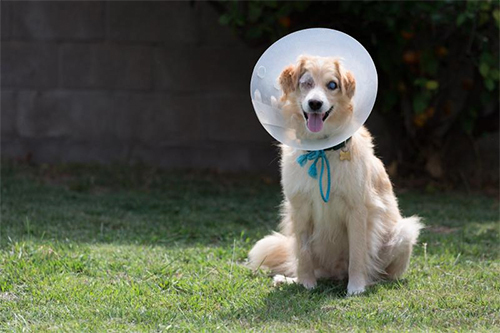 He was taken to Eye Care for Animals in Tustin, Calif. Because of fear that the right eye would rupture he underwent surgery to have it removed. Darius is now in the home of a SCGRR foster family. The surgery was a success and he is on the road to recovery. Once he’s fit, he will be put up for adoption. The Tess McIntyre Foundation has pledged to match donations to pay for Darius’s medical expenses up to $1,500. You can contribute to his recovery through Crowdrise. The Tess McIntyre Foundation, named after a dog who was adopted from SCGRR, was founded in 2015 in La Quinta, Calif. The foundation raises money to support rescued dogs who need some healthcare treatments in order to be adopted. The foundation has supported several dogs through to successful adoptions through its rescue agency partners SCGRR and Home for Good Dog Rescue in Berkeley Heights, N.J.